Across the U.S., the number of warehousing projects in almost every region continues to grow at a breakneck pace. There is so much need for e-commerce services that there doesn't seem to be a ceiling for just how much construction of and demand for warehouse space footage, and that trend continued late last year. 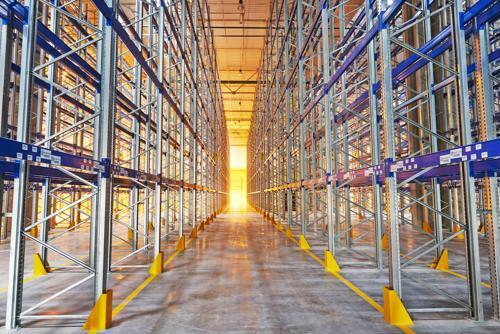 In the third quarter of 2018 - the most recent period for which data is available - the national vacancy rate for warehousing space came to just 4.8 percent, according to JLL. That latest number is more than half of the all-time high (10.2 percent) for the market seen at the start of 2010, which is obviously a big improvement, but more than that, it's also down sharply from the previous record low, set in late 2007 and early 2008, when just 7.4 percent of warehousing space in the U.S. was unoccupied. There was, however, relatively little change in the vacancy rate from the second quarter of 2018 to the third, in large part because there is more or less an equilibrium between construction efforts and pre-leasing, meaning that businesses are snatching up space as quickly as it can go up, the report said. Interestingly, while some 76.3 million square feet of warehousing space in the U.S. was newly completed in the survey period, 80 percent of that was in the form of warehouses measuring fewer than 500,000 square feet. Other industry data suggests that vacancy rates have been on the decline for nearly nine straight years, and as a result, rent on this type of industrial space has reached an all-time high in every major market in the country, according to FreightWaves. As a consequence, markets like California's Inland Empire, the Dallas-Fort Worth region of Texas and Eastern Pennsylvania have all seen not only construction and expansion explode there, but also employment. On a seasonally adjusted basis, FreightWaves data suggests that warehousing and storage employment has proliferated since the end of the recession, rising 71 percent from December 2009, and now stands at more than double the level seen around the turn of the century, the report said. Meanwhile, even many of the nation's mid-sized cities are starting to see a lot of expansion in their warehousing markets just to support e-commerce demand. One such market is Jacksonville, Florida, as demand for such industrial space has pushed out to further-out places like St. Augustine, less than an hour down Interstate 95, and near Interstate 4, according to the St. Augustine Record. There, a popular industrial park saw a warehouse measuring some 200,000 square feet open in 2007, and really kick-started a local rush for warehousing, the report said. "The access to the freeways and the logistical advantages to being south of Jacksonville and closer to Interstate 4 and getting to the Central Florida markets is big," Peter Crolius, regional director of investments for a commercial property firm, told the newspaper. When more warehousing space is being built and scooped up just as quickly in any region, companies have an obligation to continually raise their salary and benefits offerings. Doing so will help them both attract and retain talent in an increasingly competitive market.